Volunteers complement and strengthen your workforce. UN Volunteers are qualified, highly motivated and inspirational individuals committed to the principles, ideals and code of conduct of the United Nations. 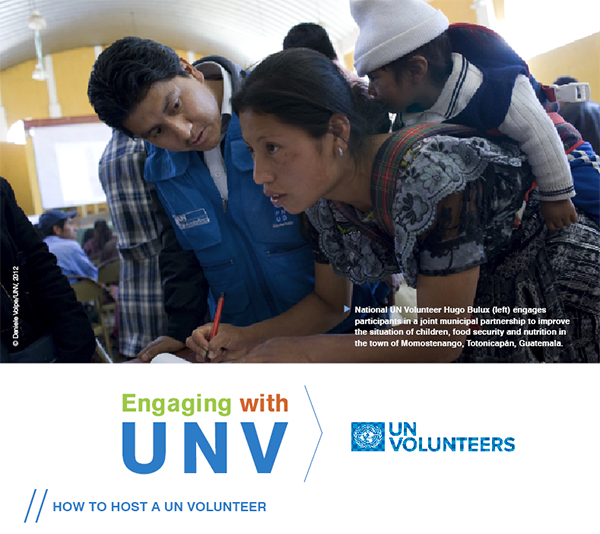 UNV partners with UN entities to provide concrete support in mobilizing and managing UN Volunteers. UNV offers a global talent pool with over 200,000 profiles; a legal framework for engaging UN Volunteers comprising conditions of service, guidance notes and the UNV code of conduct; in addition to programmatic and operations support.